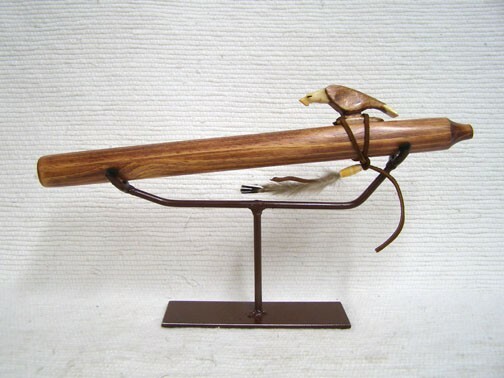 Native American flutes are instruments of music, ceremony, entertainment, courtship & love. Some Navajo medicine men say a girl will find irresistible the boy who plays the flute for her. 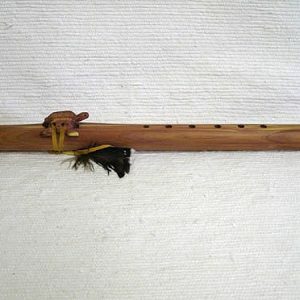 Most traditional Navajo flutes were made of sunflower stalk; today the flutes are evolving into a medium of artistic expression that uses a variety of materials. 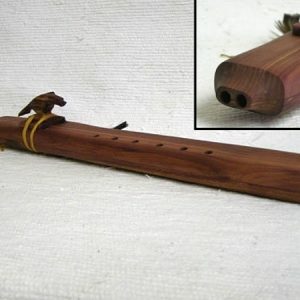 This is a simple pine pocket flute & is handmade by Jonah Thompson. It is a sample of Native American instruments & the diversity within Navajo culture. 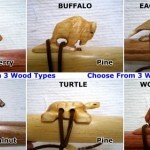 These beautiful smaller flutes come in cherry (red), walnut (brown) or pine (whitish) finish. Flutes are tuned in D Minor. 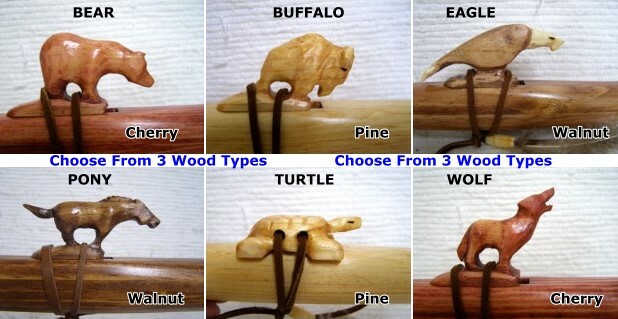 Select your totem from Bear, Buffalo, Eagle, Pony, Turtle or Wolf. Stand not included.